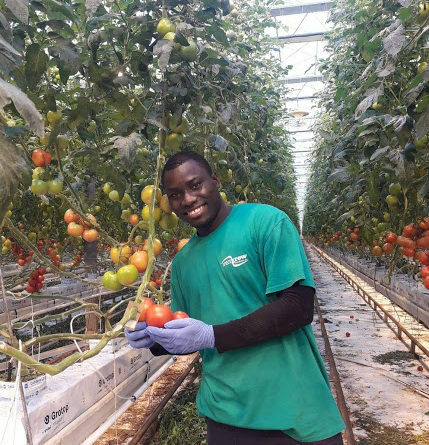 “I had a desire to learn about new advanced technologies and better production techniques to bring back home to implement on my small farm. I hope my farm will be a model farm in the near future as I will be passing on the knowledge to the farmers in my community back home. As an agribusiness manager by profession, I was aiming to use this opportunity during my CAEP training program to analyze the basic things that American farmers are doing which enable them to earn the profits they do in comparison to the farmers in my country. There are so many small-scale farmers back home which is not the case here in the USA. America is a great nation and the land of opportunity. Many Americans do not know the real value of being American. 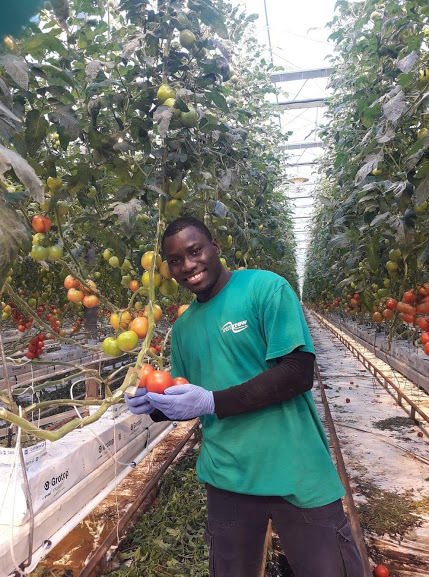 I am training at Intergrow Greenhouses in New York where they produce tomatoes on the vine and cherries in a high-tech greenhouse. Some of the most valuable lessons my host has taught me include how important it is to effectively monitor and evaluate all aspects of the operation in order to be successful.